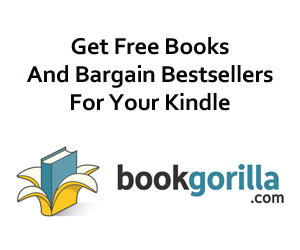 Kindle Book Bargain Alert: Buffy the Vampire Slayer Omnibus Editions At 64% Off! Buffy fans and fans of graphic novels, rejoice! Right now, Volumes 1-7 of the Buffy the Vampire Slayer graphic novel omnibus editions are on sale for just $8.99 each! These anthologies have a regular retail pricetag of $24.99, so this is a real steal. The definitive comics collection of all things Buffy starts here. This first massive volume begins at the beginning—The Origin, a faithful adaptation of creator Joss Whedon’s original screenplay for the film that started it all. The newly chosen Slayer’s road to Sunnydale continues in Viva Las Buffy and Slayer, Interrupted. Next, Sunnydale, the Scoobies, and an English librarian lead the way into Season 1 continuity. Plus, The Goon creator Eric Powell provides pencils to All’s Fair, featuring Spike and Drusilla at the 1933 World’s Fair. The smash TV hit Buffy the Vampire Slayer led to nearly a decade of comics at Dark Horse—including multiple specials, one-shots, and guest miniseries. 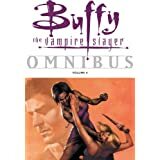 This omnibus series is the ultimate compilation of the Buffy comics Dark Horse has published, and runs along the TV series’ timeline. A fitting companion to Whedon’s comics-based relaunch of the show. This second volume of our Buffy omnibus series collects many of the best Buffy comics to see print. As we follow the newly chosen Slayer from Los Angeles to Sunnydale and through her parents’ divorce—–with Dawn in tow—–the souled vampire Angel makes his first appearance and the not-so-souled Spike and Drusilla cleave a bloody path toward the West Coast. This collection includes the critically acclaimed graphic novel Ring of Fire and the miniseries A Stake to the Heart, and reflects the Season 1 to Season 3 timeline of the cult-hit TV series. A fitting companion to Joss Whedon’s comics-based relaunch of the show. The third volume of our Buffy omnibus series follows the gang through harrowing trials and tribulations—slaying vampires, going to high school, and young love. Angel has lost his soul and found it again, Xander and Cordelia kiss and make up, and Willow and Oz confront his inner beast. We meet the twisted duo in Brazil following a brutal breakup involving Dru’s sire and former love interest, Angelus. • Collects the Buffy stories “Play with Fire” and “Spike and Dru,” and issues #1-#8 of the original Buffy series. Volume 4 of the Buffy the Vampire Slayer omnibus series concludes Buffy’s high-school career, wrapping up Season 3 of the show’s story line. Collected in this volume are the complete Bad Blood saga written by Andi Watson (Clubbing), the first attempt at making a “season” of the comics, where Buffy battles a sultry vampire who hungers for a lot more than blood; the first comics work by Buffy the Vampire Slayer television-series writer Doug Petrie, and critically acclaimed artists Eric Powell (The Goon), Ryan Sook (Star Wars: Rebellion), and Cliff Richards (Buffy Season 8), whose stories follow the Scoobies through their final year at Sunnydale High; and the first Angel miniseries, The Hollower, written by acclaimed Buffy novelist Christopher Golden (Baltimore; or, The Steadfast Tin Soldier and the Vampire). 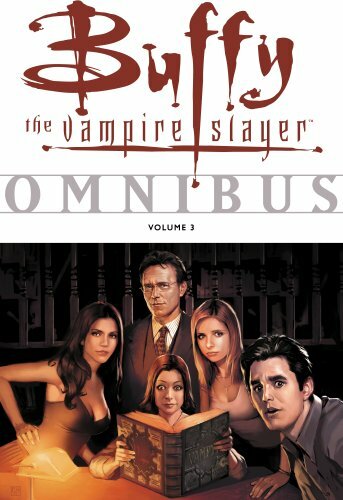 • The Buffy omnibus books collect the earliest Buffy comics and are an excellent precursor to Joss Whedon’s Buffy the Vampire Slayer Season 8 series. • This volume collects Buffy issues #9-#11, #13-#15, and #17-#20, Buffy the Vampire Slayer: Bad Dog, Buffy the Vampire Slayer: Spike and Dru: Who Made Who, and Buffy the Vampire Slayer/Angel: The Hollower. 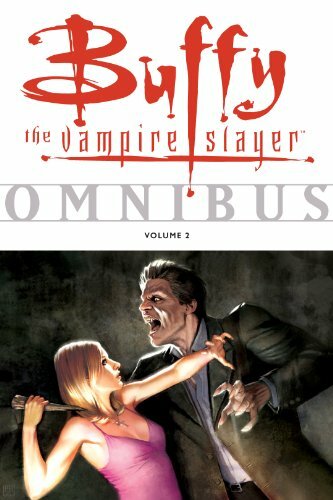 Click here to view all the Buffy Omnibus books included in this sale.